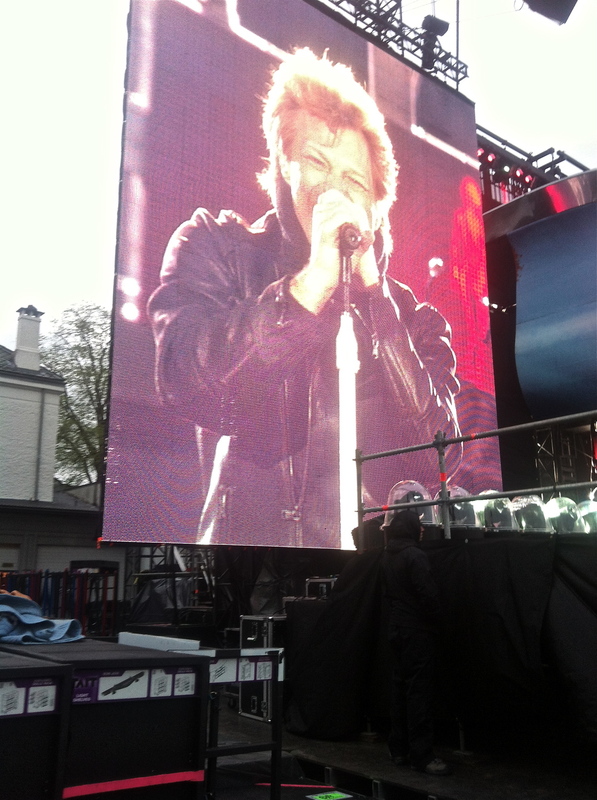 Ken has had a crazy work schedule the last five days working for Bon Jovi, he's been working from 8 am to 8 pm. I joined him the first day and the last day which was yesterday. Yesterday was especially crazy, we worked from 8 am to 4 pm, had a rest, went to the concert at 7.30 pm and went to work again from 9 pm to 3 am. 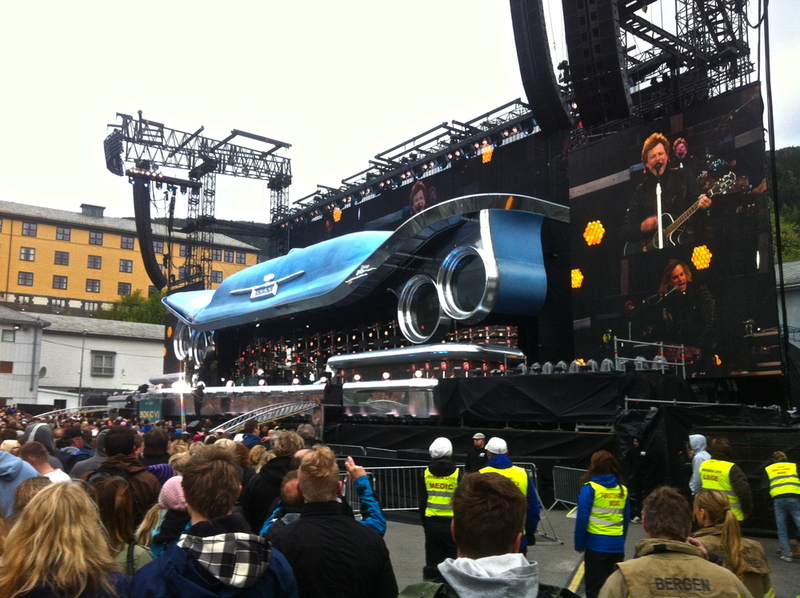 It was load in and load out of the concert. It was a pretty long day, but it was fun! I always really like knowing random things like how a stage it built and things like that so it was fun for me to see it from step one. Right now I'm in bed after a good night sleep, but still tired. I have to start packing and stuff as we are leaving in two days for Ireland. I'm so excited! It's so weird to think about that THAT's how they started building the whole stage! 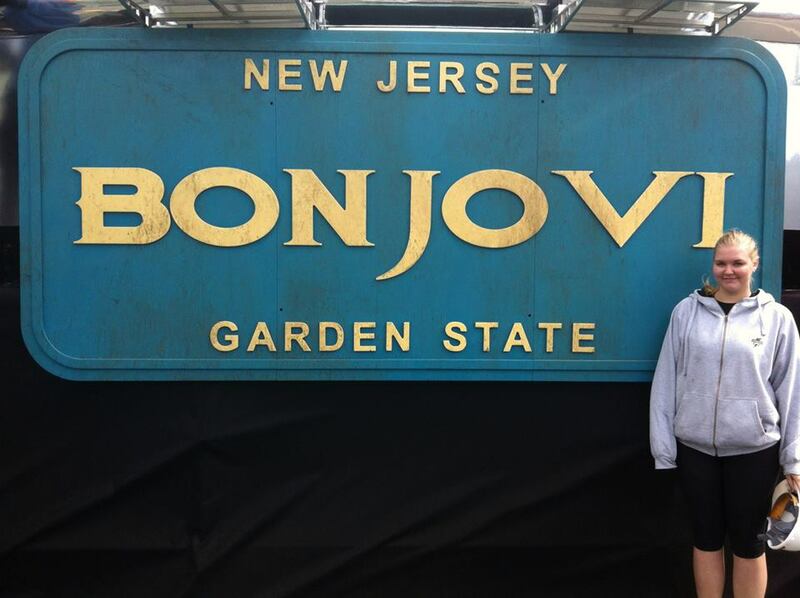 Hangin' out with Bon Jovi's guitars!